So, we're launching a new book in a few days. I've mentioned this before, but perhaps haven't mentioned it quite enough. The Sleepless Phoenix: Survival Stories anthology will be launching at the British International Comic Show (BICS) this Saturday 16th October, playing host to a massive array of talent. 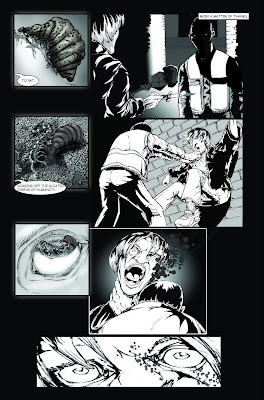 You can read all the backstory at the site, but the most important thing is that Survival Stories is going to come swinging out of the gates with 192 pages of tales from all kinds of genres and styles, from the likes of Martin Conaghan (Burke & Hare), Ben Bates (Sonic the Hedgehog), Jim Boswell (KiCk! ), Peter Forbes (Oz: Fall of the Scarecrow King), and more. 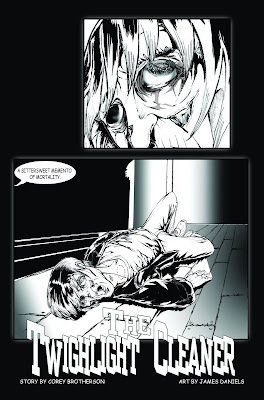 Popular and respected British writer, Mike Carey (Lucifer, The Unwritten, X-Men Legacy) said the book is "a kaleidoscope of graphic stories - mostly in the darker colours of the horror palette, but all the better for that." - so it can't be too bad, right? Lauren Sharp and Michael Moreci have been among some of the creators who have made sure this could come together to happen, and will be among a selection of creators at BICS helping launch and sell the book. If you're at BICS stop by our stand, say hi and check out the anthology. If you want to buy a copy, please get in touch and you can order through me. What's that, you ask? You want to see some previews? 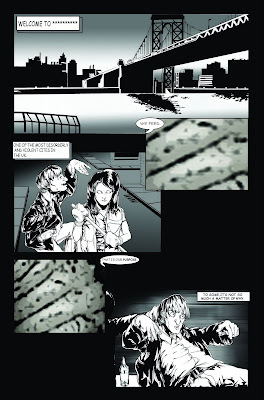 Well, take a look right here: http://www.kickstarter.com/projects/910305588/the-sleepless-phoenix-comics-anthology/posts. Is it this book you have ordered for me or should I have pledged on line?